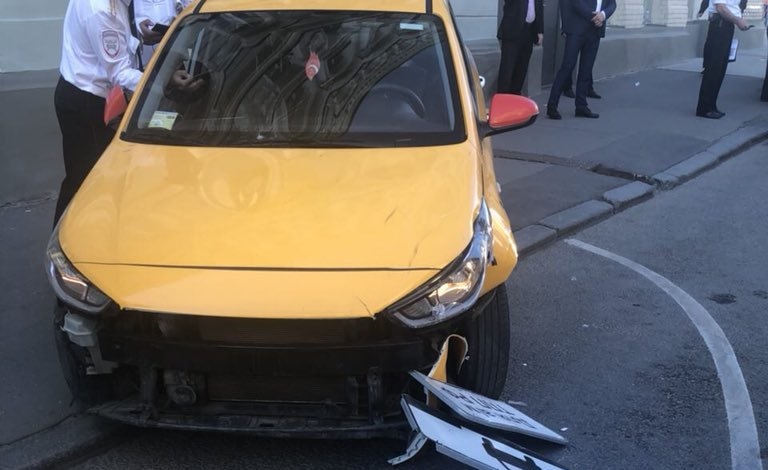 A taxi car rammed into a crowd of people near the Gostiny Dvor shopping center on Ilyinka street in central Moscow, injuring at least eight people, the Moscow police reported. According to the police, the car first plunged into a road sign and then rammed into people, causing no fatalities. Eyewitnesses reportedly claim that the driver tried to flee from the scene before he was detained. As the local police have stated, the driver had lost control of the vehicle. He was detained and taken to the nearby police department. An investigation has been opened into the incident. The Moscow traffic authorities have stated that the driver had not intentionally rammed into the pedestrians.